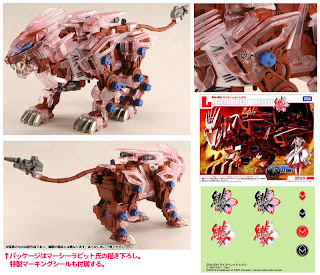 liger red hiou is the fifth zoid in the zoids generation series released exclusively by dengeki hobby magazine in japan. 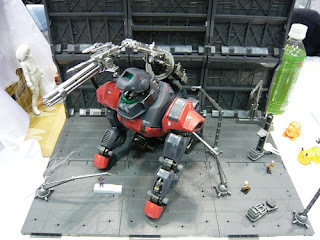 this kit was first released as a mail-in order at dengeki website, then later sold at the wonder festival last february. 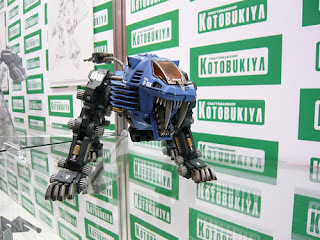 liger red hiou is basically a re-colored liger zero. 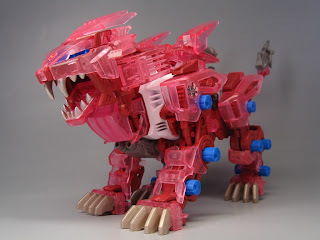 the liger zero base is colored maroon red, caps are blue, the armors are transparent pink and eye lens is blue. one of the early pic release for liger red hiou. it includes the box art and sticker sheet. you will notice that the pink armor is lighter in color than the actual release. 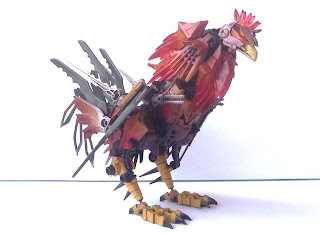 here is one of the pic i got from lifezoids . here the actual release has a darker shade of pink. 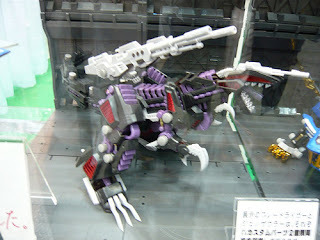 also the claws have diffrent shade of color. 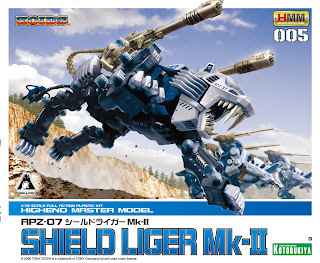 a very nice addition to one's liger collection. 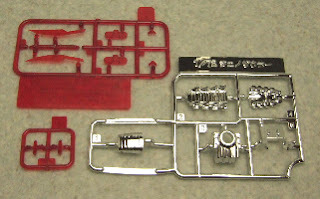 the holotech parts are very appealing to the eye. 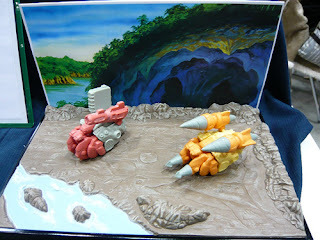 for me, the red liger zero base will also look good with the white original armor of the zero. 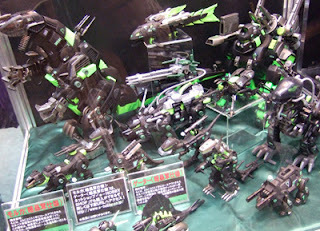 hehe..
here are the three entries of zoids philippines to the world grand prix 2008 contest for customized zoids. 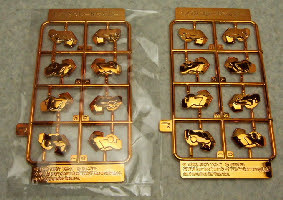 here is the second set of hmm cp that were sold at wonder festival winter 2008.
hmm cp-003 is composed of hmm blade liger claws in gold chrome colors. 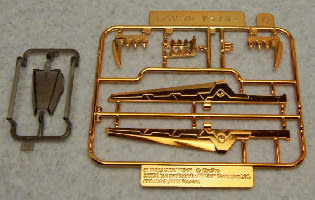 hmm cp-004 includes the teeth and blades of hmm blade liger, also in gold chrome colors. it also includes a smoke colored canopy. 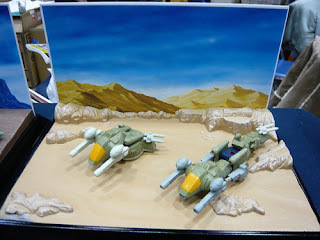 hmm cp-005 is for the hmm genosaurer. it includes silver chrome fangs and cockpit cover. it also includes silver chrome part of the weapon joints. 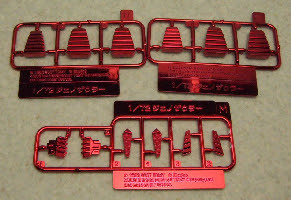 it also includes a red clear transparent set to replace the eyepiece part, tip of the tail parts and clear parts of the leg section. 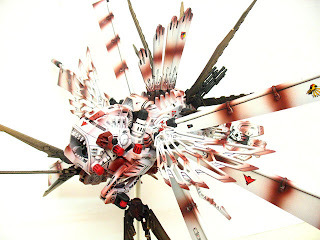 lastly the hmm cp-006, it is composed of the vents parts of the genosaurer in chrome red colors. 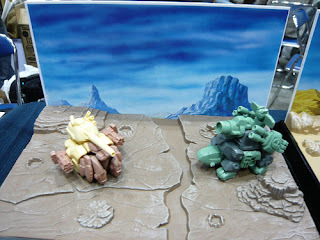 credits to: zoids corner for the pics. 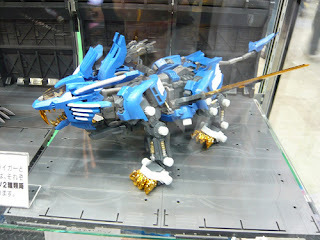 here are some pics of the zoids displayed on the recently concluded wonder festival in japan. finally i have decided to create my own blogsite.. (YES!!) 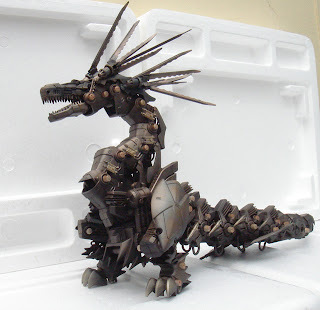 and as the title says.. it's all about zoids.. i've been in zoids collecting for almost five years now and still very active on it :). 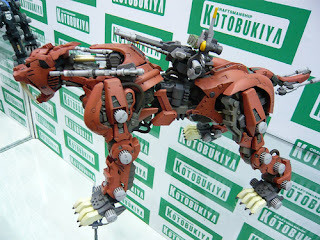 tho i only collect the blox line, once in a while i'm still buying other kits from other line. 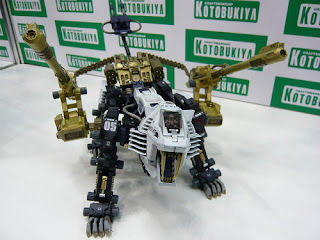 currently i'm one of the moderator of a local fan base group called zoids philippines, and i think the group is doing fine. we just concluded our 2008 world grand prix qualifier and i think we have a slight chance to bag the crown.. i really hope :) enough with the intro. 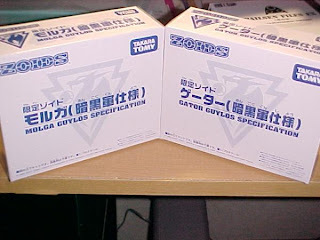 now let's move on.. for today just found out that the molga and gator in guylos color are already out.. very interesting recolors that are only available in winter wonder festival in japan. that's all for now guys..